Renton, Wash.-based Providence Health and Services has been hit with a lawsuit alleging the health system violated the False Claims Act by purposely upcoding Medicare to increase reimbursement. The lawsuit, filed late last week in the U.S. District Court of Central California by data analysis firm Integra Med Analytics, claims Providence, with the help of an outside consultant, pushed physicians to add secondary diagnoses when documenting treatment so the health system could qualify for higher Medicare reimbursement. The outside consultant, a clinical documentation improvement company called J.A. Thomas and Associates, also allegedly encouraged Providence's clinical documentation integrity specialists to encourage physicians to add secondary diagnosis to patient documents. 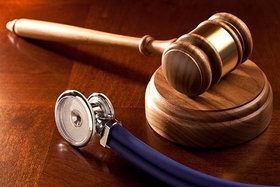 Physicians allegedly received a kickback if they complied with the requests. Hospitals use diagnosis-related groups, or DRGs, to bill Medicare. Hospitals add severity levels to the diagnosis—called a secondary diagnosis—that further demonstrate the patient's condition. Adding severity levels that indicate complications or comorbidities can increase the reimbursement for a claim as high as $25,000. The suit alleges Providence fraudulently upcoded Medicare for $188.1 million in claims over seven years. "We reiterate that Providence St. Joseph Health follows rigorous standards for Medicare reimbursement claims, based on all relevant regulation and supported by our core values," she added. Providence operates 50 hospitals across five states. According to the suit, about $6.2 billion of Providence's $14.4 billion in revenue in 2015 came from Medicare reimbursement. An analysis by Integra using CMS claims data from 2011 to 2017 found Providence hospitals were more likely to add secondary diagnoses to claims than other hospitals. For example, the suit said Providence reported more than 11,000 claims for femoral neck fracture, of which 12% of those claims had an accompanying secondary complication for encephalopathy, which indicates brain disease. For the other hospitals, which included 1.1 million femoral fracture claims, just 4.5% reported encephalopathy. Eighteen of the 250 hospitals with the highest rates of encephalopathy were Providence hospitals, the suit said based on Integra's analysis.